To celebrate the PS4’s fifth anniversary, Sony has released a infographic revealing some interesting statics about the console. As of September 2018, 86.1 million PS4 units have been sold worldwide. which means over 12 million units were sold since Christmas 2017. 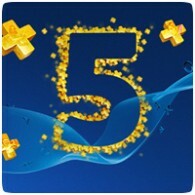 Today marks the 5th anniversary of PlayStation Plus in Europe, which has seen over 350 free games since it first launched on 29th June 2010. If you’ve been a member of Plus since the beginning, look forward to a limited edition gift arriving in the post – you’ll receive an email with further instructions today. It’s hard to believe that it’s already been 12 months since the PS4 was first released in North America. In honour of the one-year anniversary, Sony have put together an inforgraphic highlighting some of the unforgettable milestones made possible by the PlayStation community. Sony will host a celebration of the 15th anniversary of Gran Turismo at the world-famous Silverstone Circuit (UK) on 15th May, 2013, and will be showing “what’s next” for the series. The event will feature Kazunori Yamauchi, who will “provide an update on the future of the Gran Turismo game,” according to the press release. 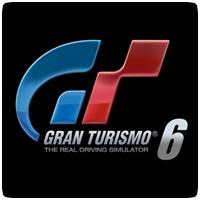 Our understand is that Sony will be announcing Gran Turismo 6 at the event, which is rumoured to be a PS3 game. The PlayStation 3’s first massively multiplayer online role playing game (MMORPG) celebrated it’s third anniversary over the weekend. For those that haven’t jumped into the action, Free Realms is a free 3D online world for all ages where you can do whatever you want, whenever you want. Can you believe it? It’s been two years since ModNation Racers was first launched on PlayStation, but the community is still growing strong. The PlayStation Vita version of the game, Road Trip, has helped keep the success going – just check out the numbers for yourself: 629,972 Tracks, 1,331,405 Mods and 1,221,817 Karts for a total of 3,182,817 creations! The PlayStation 3 celebrated its 5th birthday in North America and Japan in 2011, but it’s finally time to mark 5 year milestone in Europe. To celebrate, Sony has some retrospective features on the European PlayStation Website for you to enjoy. What was your first PS3 memory / moment? From November 30th to December 7th, Ubisoft is celebrating its 25th anniversary. Ubisoft has 25 great promotions s with massive discounts of up to 75% off! Assassin’s Creed, Splinter Cell, Driver, From Dust and many more. Check out the list of discounts available below. Can you believe that tomorrow marks the five-year anniversary of PlayStation 3’s launch in North America. Just think, before the PS3 came into the world: online multiplayer modes were the exception, not the rule; HDDs were a side option for game consoles, not a standard feature; standard-def DVDs were the only choice for home video; and Nathan Drake wasn’t a household name. It’s hard to believe that PlayStation Plus is already a year old, but I guess time flies when your enjoying so many exclusives, betas, PSN games, minis, PS one Classics, dynamic themes and avatars. Over the past year, Subbscribers have received over £200 worth of content, including games, discounts, themes, avatars and lots more.